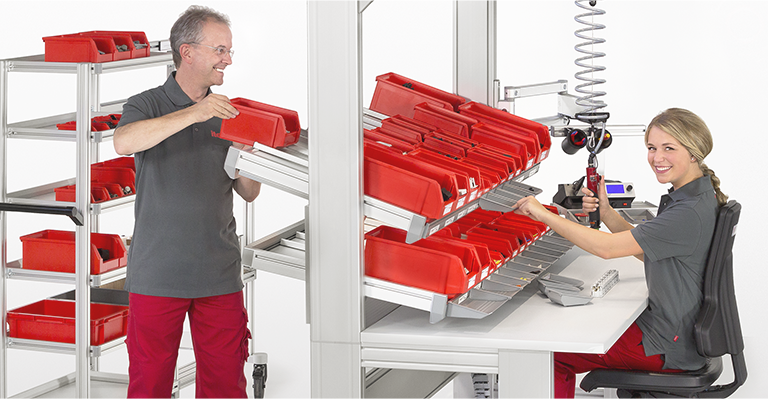 Ergonomic work benches and efficient intralogistics. 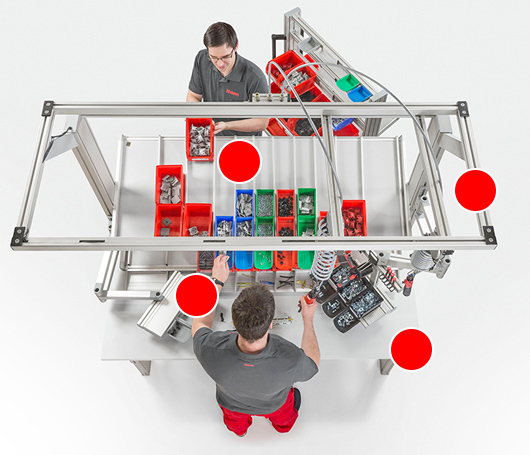 An ergonomic work bench that is ideal for your staff – short reaching distances and dependable, ergonomic material supply, even for the smallest of parts. Simple and rapid material resupply in efficient quantities and standard commercial containers, all geared precisely to internal production processes. 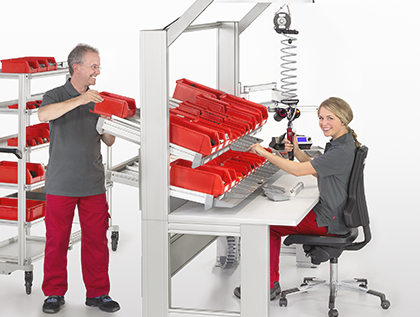 ergologistic® combines efficient intralogistics with ergonomic work benches that meet the needs of your staff perfectly. This makes processes more efficient and boosts productivity. Trays fitted with a Tray Stop Profile and the Supply Profile from item ergologistic® are the perfect intralogistics solutions for resupplying materials in standard containers through intralogistic processes and ensure small parts can be efficiently transferred to the Grab Plate Profile or Grab Containers – i.e. directly into the manual work area. 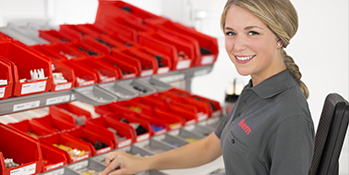 Pivot Arms ensure that every member of staff can arrange their workstation to suit their own personal reach. ergologistic®Grab Containers can be removed in one fluid motion and placed on the work surface, close to the process. This means workers of all ages, sizes and abilities can work in a way that suits their physical capabilities and efficiently avoid arduous and uncomfortable movements. The basis for any ergonomic workstation will be a work bench fitted with an, ideally electrical, height-adjustment system. 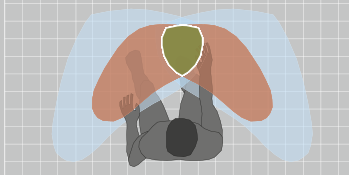 This allows workers to switch rapidly between sitting and standing and readjust the working height of their workstation if, for example, other employees have been using it. 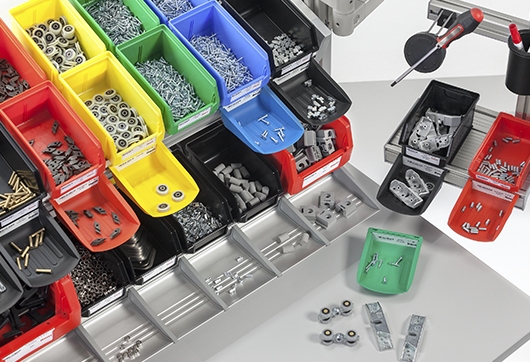 What’s more, it offers versatile and stable mounting options for optimum material supply. Take a look at our free guidelines, which are based on the latest research findings. 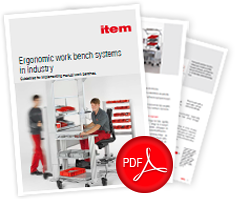 The ergonomic interlinking of work benches and intralogistics is a preventive strategy that really pays. Just fill out the short form to download the White Paper in PDF format. I would like to receive further useful information and news about ergologistic® by e-mail. Your data is safe with us. You can unsubscribe whenever you like. Tack för ditt intresse i de frågor som berör oss. Vi kommer strax att skicka ett e-postmeddelande till dig med den information som du har begärt. Om du har kryssat för att du vill få e-post om våra produkter och vårt företag även i fortsättningen kommer vi att skicka en bekräftelselänk för validering av din e-postadress. Därefter erhåller du önskat innehåll i ett separat e-postmeddelande. Om du inte får något e-postmeddelande ifrån oss inom de närmaste minuterna ska du även kontrollera din skräppost och lägga till vår e-postadress till dina kontakter. Om du har frågor är du välkommen att kontakta oss på onlineservices@item24.com. Du kan självklart när som helst avanmäla dig från vår sändlista om du inte vill ta emot mer information.